It’s thought that there will be two bidders – Sound Digital (an alliance of Arqiva, Bauer Media and UTV) and, potentially, a second group that has not yet been publicly announced. Up until relatively recently national digital radio has had a bit of a roller-coaster existence. When national commercial DAB launched in 1999 the key stations to be found on it were the three analogue INRs: Classic FM, Virgin Radio (now Absolute Radio) and Talk Radio (now Talksport). Alongside were a number of new services that multiplex (“mux”) owners GWR Group and transmission supplier NTL, brought afresh. And so we had services with new brand names like Core, Capital Life and OneWord. DAB set ownership was low, and while the INRs had all built analogue businesses to help them with the additional DAB transmission costs, the new brands struggled. Their owners were far more interested in their highly profitable local FM stations. Why waste marketing budget on new services that might actually cost you listeners? In due course brands would come and go on Digital One. It was quite expensive to get carriage, but if you had the money, there was space available. That ceased to be the case to an extent around 2006 when BT Movio launched. The mux’s licence allowed a proportion of the available space to be used as data – about 30%. BT Movio was an attempt to launch a mobile TV service using that space. Crucially though, it was a paid for service, and the only phone that was ever built that was capable of watching the service came from Virgin Mobile – the Lobster phone. It was fine as far as it went, but the fact is that with few television choices, there was limited appeal for subscribers, so unsurprisingly BT announced the end of the service in 2007. The phone was reasonably decent though – at least as a phone with a DAB radio built in! (We’ve yet to see another phone come with DAB since then – although there are reports that LG might release a device). It was also around this time that Ofcom decided to licence the second national digital radio multiplex for the first time. There were two bidders – 4 Digital*, a consortium led by the public sector broadcaster Channel 4, and National Grid Wireless. The 4 Digital bid was considered much more attractive and it was duly awarded the licence with planned new services including the flagship Channel 4 Radio (described as a Radio 4 competitor! ), E4 Radio, Sky News Radio amongst others. But Channel 4 had over-expanded in television, and was having financial difficulties. So in 2008 it scrapped its plans to launch despite having won the licence. Ofcom was not happy, and although they held onto the frequencies, it took quite a few years before they could be persuaded to try licencing the mux once more. So by 2008 with BT Movio having closed, and GCap (formed from the merger of GWR and Capital Radio) pulling off the platform, space had been freed up and was available. Few seemed interested in national DAB. The mux owners would broadcast Birdsong as a holding station when capacity wasn’t being fully utilised. And the mux was bought outright by Arqiva, the transmission provider that had become the defacto sole supplier in the UK having bought up its rivals. But people were still buying DAB sets, and notably Absolute Radio, under new ownership and rebranded from Virgin Radio, jumped in at about this point. 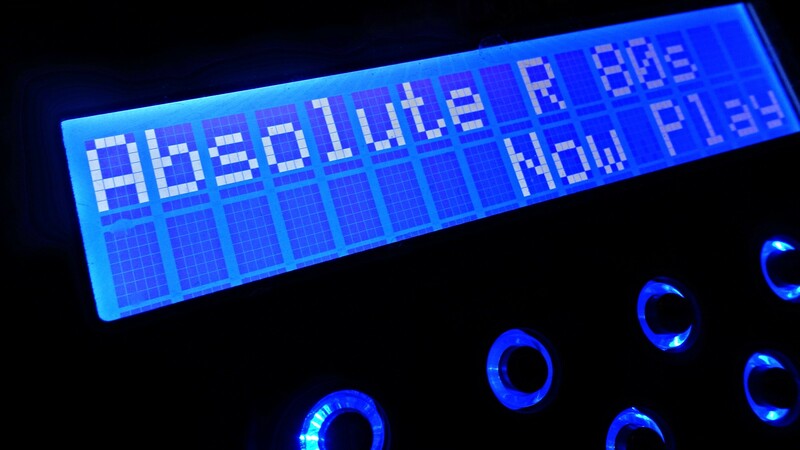 It first launched Absolute 80s and later Absolute Radio 90s on the national mux. It also played around with station labels when it first bought Premier League rights, and created Absolute Radio Extra. All the while DAB penetration and listening had been creeping up, and more transmitters had been built. DAB was now working. Absolute 80s became the biggest commercial digital only station, and importantly it was sold on a network basis – advertisers buying across the whole suite of Absolute brands. There were fewer brands that existed solely as standalone DAB services. In the last year or so, we’ve seen a number of bigger brands coming onto the platform and duplicating that work. Global has got fully behind national DAB – previously it had mostly concentrated on local multiplexes often part owned by them, its predecessor GCap having just about abandoned it. It launched Smooth Extra, Capital Xtra and LBC nationally. Bauer has bought Absolute Radio, and although Absolute Radio 90s got shifted off the platform, it now has Kiss, Magic and Planet Rock alongside the remaining Absolute stations on the mux. Indeed at time of writing, the only remaining non-Global or Bauer stations still on the multiplex are BFBS (aimed at the armed forces and their families, and effectively an extension of the MOD), Premier Christian Radio, TeamRock and UCB UK. And it’s reported that Premier Christian Radio will have to make way for Global’s Heart Extra at some point. Indeed there are now so many radio services on the mux, that only Classic FM and Capital Xtra are still broadcasting in stereo, since a multiplex has a limited amount of bandwidth and it can only be cut so many ways. And so, finally, we reach the present day, and a second attempt to licence a second national DAB multiplex. Exactly what the winning group wants to do with the space remains to be seen. We’ll learn later this week what the respective plans are of the bidders. 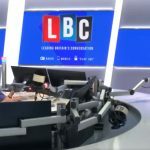 I would certainly expect the announcement of at least one new speech station – most other radio markets globally are able to sustain many more speech services than we have in the UK. Of crucial importance for any standalone brands that launch will be their advertising sales strategy. Who will be selling their advertising for them? And the other thing to look out for will be transmission plans. Rolling out new transmitters is an expensive business. The BBC continues to rollout masts for its national DAB mux to reach ever more of the population. Digital One reaches somewhere around 90% of the population, but the diminishing returns of population versus cost means that it’s unlikely to go much further. It seems likely that whoever wins the new mux won’t be so ambitious. Look for a potentially phased rollout that may never reach more than 75% or so of the population – i.e. the major towns and cities, and key trunk routes. But perhaps the launch of some services in DAB+ is perhaps the most interesting prospect. DAB+ uses much more up to date audio compression meaning that lower bandwidths are capable of broadcasting higher quality audio than vanilla DAB can use. As with DAB originally, there’s also a chicken and egg situation with DAB+ in that probably the majority of DAB sets in the UK marketplace today are not DAB+ enabled. That means that they can’t receive DAB+ services. Some of them will be up-datable with a firmware upgrade. But that’s not as easy to do with a radio as it is, say, with a PC or smartphone. You can’t just roll-out an update that users click on. It tends to involve downloading files to USB sticks from PCs and going into unusual menus on radio sets. Most DAB sets currently in the market are DAB+ compatible, but given the slow replacement cycle of radios compared with many other consumer electronic goods, getting everyone over to DAB+ will take some time. Additionally, Ofcom has placed some odd limitations on what mux owners can do with DAB+. It has said that no more than 30% of the new mux’s capacity should be used for DAB+ stations. It wants to make sure new services are mostly available to all. In other words, a new bidder would be unable to launch with a complete roster of DAB+ stations even if it wanted to. That feels wrong to me. This seems like it is something the commercial broadcasters, set manufacturers and the marketplace can sort out between themselves. The market will dictate the speed of DAB+ roll-out. If a a service provider chooses to broadcast in DAB+ then it is up to them to make the gamble that they can achieve a big enough audience to sustain such a service. Indeed, if a broadcaster chooses to make a particularly attractive range of options behind a DAB+ “wall” then it might be able to drive DAB+ uptake on its own. Realistically, no bidder is going to limit listeners unless they can make a commercial argument to do so. Intervention feels unnecessary. Looking across the Atlantic is instructive. When Sirius (now Sirius XM) signed Howard Stern away from free-to-air radio to their then new subscription satellite radio service, they made the gamble that he was a big enough name to motivate his listeners into both investing in new hardware and paying a subscription to carry on listening to his show. Would enough people be prepared to upgrade to DAB+ to hear, ooh, let’s say Chris Moyles? I don’t know, but I think it should be for broadcasters to make that judgement, not the regulator. Ofcom has said it will review the limit in 2018. In any case, right now this is all moot. We’ll find out what the broadcasters have come up with later this week! * At time of writing, the 4Digitial site is still there, buried away on the Channel 4 website – proudly proclaiming their winning bid! Disclaimer: These are my own views, and do not represent those of my current or former employers. I did work at Absolute Radio at the time it launched its digital sub-brands, and I helped with the Virgin Radio proposed service – Virgin Viva – as part of the 4 Radio bid back in 2007. SMG, then owners of Virgin Radio, never signed on the line, hence Viva wasn’t formally listed as part of the bid.